Basking Ridge New Jersey is a small village-like town with a rural feel. The main street in Basking Ridge is welcoming and charming and has no traffic light. There is a general store where you walk on brick sidewalks surrounded by Victorian storefronts filled with small merchants, restaurants and locally owned cafes. Basking Ridge has a diverse population with a strong communications-based economy. Verizon Wireless and Barnes & Noble have their headquarters in Basking Ridge. Right on the Gladstone branch of the Morris & Essex line, the close proximity to NYC make it an easy commute to the Big Apple. Basking Ridge is in north Somerset County within Bernards Township. A drive along the narrow streets will quickly reveal that the majority of Basking Ridge homes are built in the colonial style with plenty of Georgian and Victorian flair. Some of the larger historic homes here even date back to before the revolutionary period. Basking Ridge has several townhome and condo complexes. One of the biggest is 'The Hills'. This is a very large community with housing to include single family homes, townhomes and condos. The price range spans from $250,000 to $1,5M. 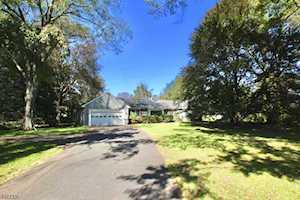 The average home sale price in Basking Ridge NJ is $663,701. K-12 Students in Basking Ridge attend public schools operated by the Bernards Township Board of Education which also serves students in Liberty Corner, Lyons and West Millington. District highlights include a state of the art ABA program for children on the autistic spectrum and one of the most highly regarded public high schools in the state. Ridge High is consistently ranked among New Jersey's best in Newsweek's annual survey of US secondary schools. A well-stocked library, the Somerset Hills YMCA, a new community center, a nationally recognized Olympic-sized public pool and a 9-hole golf course are just a few of the many local activities. Lord Stirling Park at the edge of the Great Swamp, has an environmental education center that offers classes and special programs for young people and adults. The park has a pleasant eight-mile trail system that also serves as an outdoor teaching lab. Riding stables are available for those who enjoy trail rides on horseback. The Basking Ridge Historic District spans approximately 1517 acres and contains nearly 200 late-Victorian and mid-19th century revival homes and buildings. The Basking Ridge Presbyterian Church is listed on the National Register of Historic Places. It's said that George Washington picnicked here in the late 1700s under the shade of the 600-year old white oak tree that still lives on the grounds. The Brick Academy, which is now a local museum, was originally a prep school for young men on their way to the College of New Jersey (Princeton University). Over the years it's been used as a public school, a union hall and the town hall. The Van Dorn Mill, was built in 1768 and renovated in 1843. During the renovation, workers spent over a decade hauling thousands of stones from the hedgerows of nearby farms to create what is now the finest stone structure in New Jersey. The Alward Farmhouse at Chimney Ash Farm was built in 1860. Contact me to learn more about the Basking Ridge real estate market and view Basking Ridge Homes for Sale.